Discover the little wonders: This multi-year project, launched in 2016, enables children to discover nature in a special way (online and offline). By “Discovering the little wonders” children consciously and unconsciously start to pay attention to special things of nature and in this way a natural connection to nature is created! Not only children, but adults are thrilled. Discover the little wonders that connect families with nature. 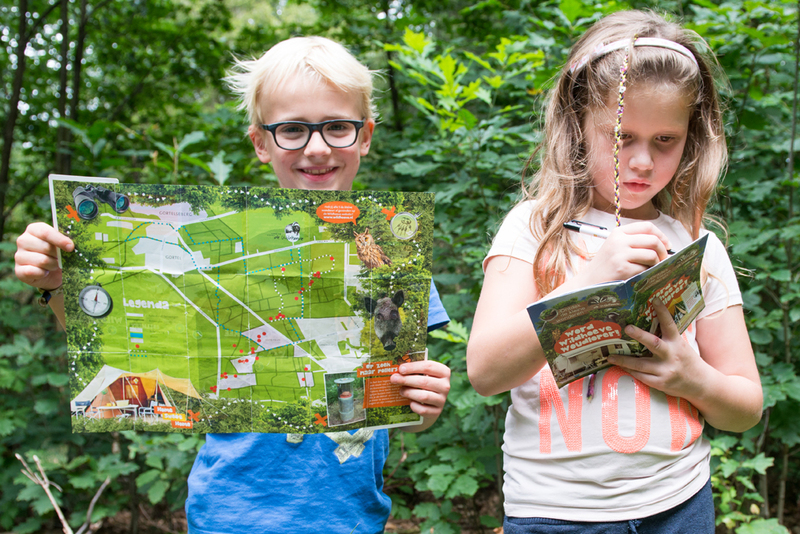 Each child who comes to the camp receives the Wildhoeve Ranger Book and can become Wildhoeve Ranger. They have to do something for that. Through very varied tasks, the children can get stamps from animal tracks, with a Wildhoeve Ranger certificate and a real compass as a last reward. An app was developed with a tour, a ranger app. Nothing is more fun to find tracks yourself. Also translated into German and English.